On September 10 and 11th AFU was visited by Jim Semivan and Deborah Stokes from the United States. 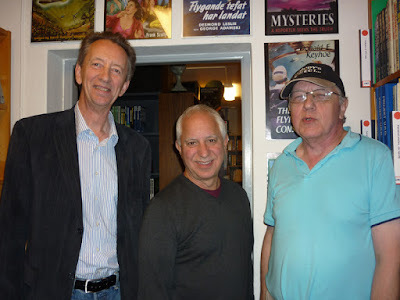 They have a long-standing interest in UFOs and the paranormal with several intriguing personal experiences. Jim is very interested in the future of AFU as an international archive and Anders Liljegren, Johan Gustavsson and I spent several hours discussing various projects. On Saturday 10 Clas Svahn, Carl-Anton Mattsson and Håkan Ekstrand stopped by for a short visit to meet Jim before going to England fetching several donations to AFU. Clas gave a short presentation of UFO-Sweden, AFU and the UFO phenomenon in Sweden. Anders and I also had two enjoyable evenings with Jim and Debbie discussing all kinds of mysterious phenomena combined with good food and wine at local restaurants. Many thanks to Jim and Debbie. One of the problems that came up during our talk was the absence of close encounter cases during the last decades. In Sweden there are now only a few UFO observations each year, mostly globes of light. We have no reliable reports of close encounters with classic saucers, landings or humanoids. Why this is so is an enigma? If this situation continues year after year the UFO movement as such will become obsolete. 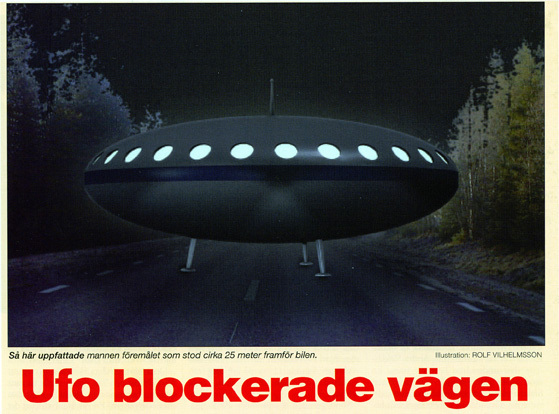 There is no need for a national UFO organization like UFO-Sweden, field investigation seminars etc. if there are no reports to investigate. Ufologists will become historians, documenting the observations from past decades. Given this situation continues UFO-Sweden has, as I see it, two options. Either close down the organization and keep on working with a small group of researchers with AFU as base and connecting center. 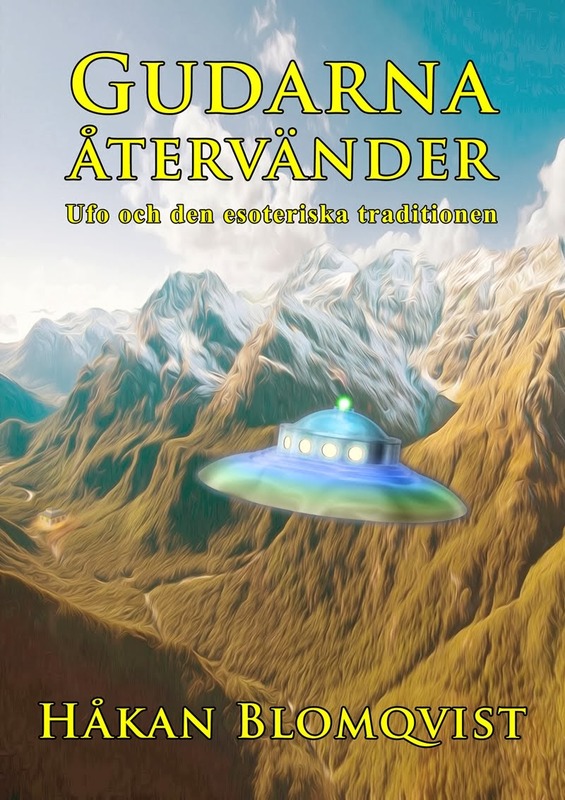 Or change the name and objective of UFO-Sweden to an organization with the aim of researching Fortean and paranormal phenomena. Let us take a look at the type of the close encounter cases that were reported during earlier decades, in the 1960s and 70s. 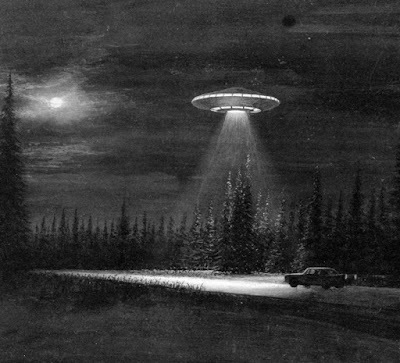 I have chosen three cases, from the AFU report archives, of UFO landing on roads. April 27, 1967. Engineer Gunnar Rosqvist is travelling by car at midnight between Sala and Avesta. About 8 km from Sala he suddenly becomes aware of an object standing in the middle of the road. Panicking he hit the brakes, touching a building beside the road and a part of some stairs are ripped off. To the investigator K. Gösta Rehn Mr. Rosqvist mention that the object looked like a physical craft with sloping sides giving off an very intense light. The object alighted in a flash and disappeared. Later he was picked up by a lorry. January 5, 1977. Truck driver Helge Olsen is driving his lorry not far from Värmlands Nysäter, on the E18 towards Stockholm. The time is around 1 a.m. A luminous object appears to be landing ahead on the road. He park his lorry and starts walking towards the object. At a distance of 150 meters Helge is stopped by an invisible wall and can go no further. The object is shaped like a disc, about 7 meters i diameter, resting on five legs on the road. One from the middle of the undercarriage. The legs seemed to be made of glass and shining like the rest of the object, red, green and yellow. Helge stand watching the objects for a few minutes. A faint humming sound is heard. He also notice another lorry coming from the other direction that has stopped because the road was blocked. Suddenly there is a snow drifting around the object and it takes off straight up. Helge return to his lorry from where he can see the object once more coming close and then disappear. The drivers from the two lorries stop and talk and Helge recognize the other driver as collegue. They decide to not report the incident to the police. Helge´s collegue refuse to talk about the encounter as he find the incident very uncomfortable and unnatural. End of 1970s. A couple are travelling by car in Dalarna on a winter evening. Not much traffic. Ahead of them they notice what looks like a bus standing across the road, blocking the way. It is a large object, probably around 15 meters covering the whole road and more. They stop the car some 25 meters from the object which is standing on three or four legs around 150 cm in height. The colour appears to be grey blue metal and there is a row of windows on the upper part. Suddenly the legs are retracted and the object simply disappears. Only some snow is swirling. Another car has stopped behind them and after the incident they regret that they didn´t talk to the driver. But they were chocked of what had happened. The man is dead today and his wife refuse to discuss the incident. If these types of close encounters would be reported today on a regular basis field investigators would have much to do but unfortunately this is not the case. It would of course be very interesting if Sweden again had a real saucer flap like in the 1960 or 70s. Jim Semivan believe they will be back. Only time will tell.